Click the link below to get your tickets for this upcoming red mass on October 9th, 2018. 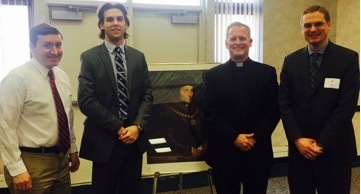 St. Thomas More Award Recipient: ?? 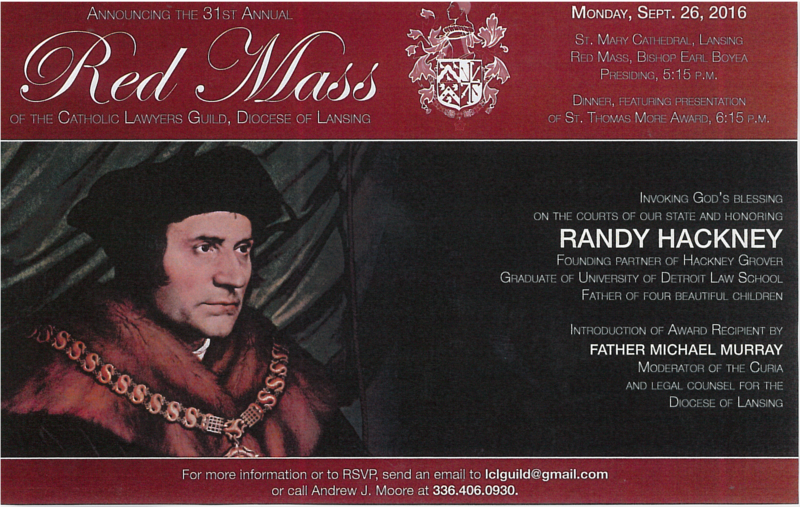 The Lansing Catholic Lawyers Guild is honored to announce that we will be celebrating the 34th Annual Red Mass at St. Mary’s Cathedral in downtown Lansing on Tuesday, October 9, 2018 at 5:15pm. The Red Mass will be followed by dinner at St. Mary’s Parish Hall, adjacent to the Cathedral. The Lansing Catholic Lawyers Guild will be hosting its 34th Annual Spring Luncheon on Tuesday, May 15, 2018 at 12:00pm at St. Mary’s Parish Hall. We are proud to announce that newly appointed Supreme Court Justice Elizabeth Clement will be serving as our keynote speaker. She will be introduced by her husband, Michigan Supreme Court General Counsel Thomas Clement. Justice Clement is only the 11th women to serve on the bench. Before her appointment, Justice Clement served in the Governor’s Office as cabinet secretary, deputy chief of staff, deputy legal counsel, and ultimately chief legal counsel. 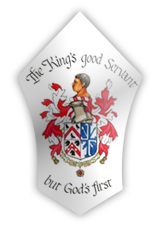 Justice Clement will join the Guild for lunch and speak about the importance of St. Thomas More and how his work and philosophy are still very relevant in today’s world. The Guild invites everyone to join us for an enjoyable afternoon. Please RSVP by sending the registration form with payment to the Catholic Lawyers Guild, c/o Diane Arzberger, Executive Director, 1812 N. Genesee Dr., Lansing, MI 48915. The Lansing Catholic Lawyers Guild proudly invites you to their 33rd Annual Spring Luncheon at St. Mary’s Cathedral Parish Hall on Wednesday, May 10, 2017 at 12:00pm. The Guild is honored to host Father Steve Mattson as our keynote speaker. Father Mattson is what we like to call a “revert” to the faith. He was raised Catholic, but his family left the Catholic Church after he graduated from high school. After spending over twenty years as an Evangelical Protestant, Father Steve returned to the Catholic Church. Furthermore, Father Steve felt the call to priesthood, attended the University of St. Mary of the Lake / Mudelein Seminary in Illinois, and was ordained in 2005. Father Steve also holds a Ph.D. in education from Michigan State University and served as the Superintendent of Schools for the Diocese of Lansing from 2009-2015. 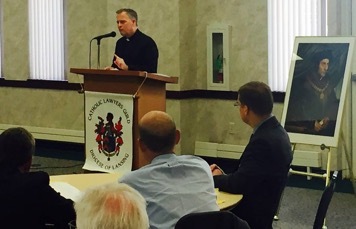 Father Steve Mattson will delight us with his presence and speak to the Lansing Catholic Lawyers Guild about the importance of faith and adherence to the Catholic values and principles in the practice of not only law, but life. We are two months from the inaugural conference of the Catholic Bar Association on October 27-30, 2016! Attached is the new CBA Conference pamphlet showing our amazing line up of speakers for our first year. Everything is in place, sponsors are lining up and now we need YOU to register and help us promote the event! The CBA Conference pamphlet includes the current list of confirmed speakers, sponsors and schedule. Due to the positive feedback from law students, we added a law student social on Saturday at 4:30 pm before the dinner with keynote speaker Hadley Arkes. Register at www.cbaconference.com or click here. For hotel reservations, call the Westin Crown Center at (816)474-4400 and ask for the Catholic Bar Association Conference discount. IMPORTANT: The hotel discount is only available through 9/26/2016 so please make your reservations today! I am pleased to announce that Our Sunday Visitor recently partnered with us at the Gold level! 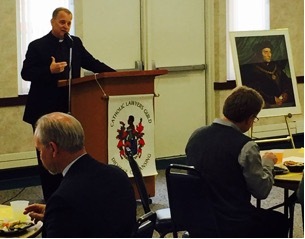 Current sponsors include the National Lawyers Association, EWTN, Catholic Medical Association, Diocese of Kansas City-St. Joseph, Canon Law Society of America, St. Thomas More Society of Dallas, Catholic Lawyers Guild of Kansas City and Federalist Society. If you or your organization is interested in being a sponsor, please see the attached sponsorship sheet or contact me for additional information. If you are unable to attend the conference, please consider becoming a member of the CBA ($100.00) now. https://cba16.wildapricot.org/membership. The CBA is run entirely by volunteers and your membership (and/or donations) will help us move the organization forward in 2017. To make a donation visit https://cba16.wildapricot.org/Donate. The CBA is a 501(c)(3) tax exempt organization. If you have any questions please let me know. Remember, if everyone on this email list registers and/or encourages someone else to attend, we will have a packed house for our first event! Thank you for your continued support of the CBA and I look forward to seeing you in October! Please keep the CBA in your prayers and St. Thomas More pray for us.